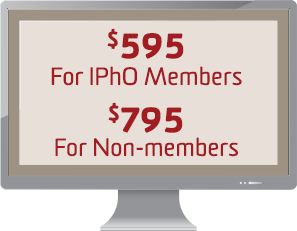 IPhO is pleased to announce a collaboration with the Center for Communication Compliance (CCC) to provide a foundation of regulatory compliance knowledge to students pursuing an industry career, as well as graduated pharmacists looking to break into industry. Upon completion of the course, participants will have a practical understanding of key FDA regulations and guidances for advertising/promotion and industry promotional practices. This Regulatory Compliance Certificate Program is an online series of modules that cover key regulations related to advertising and promotion, which is important in understanding how the drug and medical device industry markets its products. For any questions about this course, contact us here. CCC content is reviewed by members of the CCC Advisory Board, which is composed of former government officials and healthcare compliance officers, regulatory experts, and lawyers. 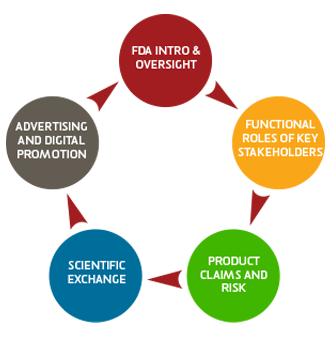 Wayne Pines is a nationally-recognized expert in regulatory aspects of healthcare advertising and promotion. Wayne served 10 years in senior positions at the U.S. Food and Drug Administration (FDA) and is author of the standard reference book in the field, "The FDA Advertising and Promotion Manual." This Regulatory Compliance Certificate program is comprised of ten modules which must be completed within one year. After completion of all ten modules and the final post-test exam, you will receive a letter of completion and certificate recognizing your achievement.